Yes, it is true! 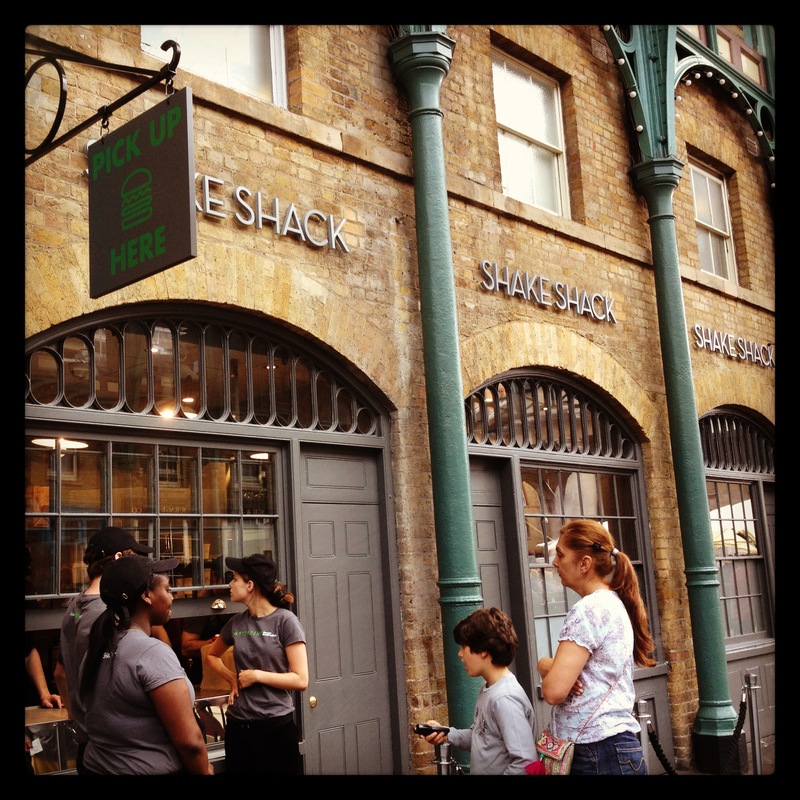 Shake Shack, the upscale fast food chain from the US, has crossed the big pond and opened its first London shack! My friends in the US are constantly raving about Shake Shack burgers. I had never tried one before so couldn’t wait to see what the hype was all about. 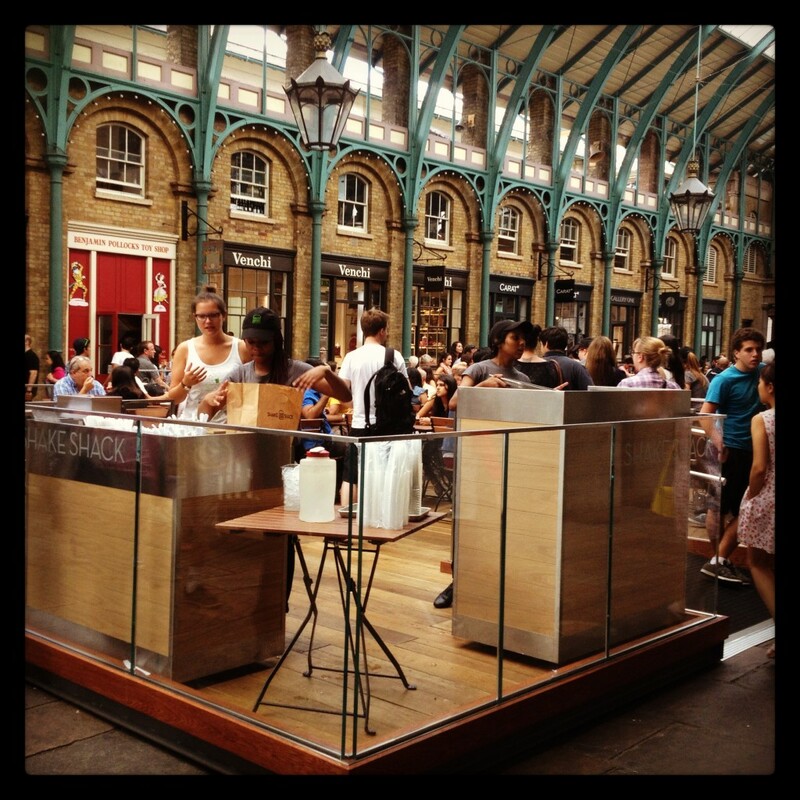 Opened earlier this month on American Independence Day, Shake Shack has a spectacular location in London’s busy Covent Garden Piazza Market. Pictured here is the Shack Shack seating area in the middle of the market.